RONAN — Stewart Dale “Stew” Schiele passed away on March 28, 2019 at age 71. He was born on Jan. 5, 1948, in Ronan, at the family home, to Martin and Elsie Schiele, the 11th of 12 children. Stew graduated from Ronan High School and joined the Navy in 1968. 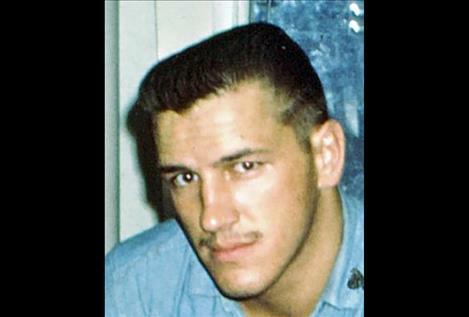 He graduated from welding school as a nuclear components welder and during the Vietnam War Stew served two tours to the Tonkin Gulf, one on the USS Worden and one aboard the USS Bainbridge. After his service Stew and Faye returned to Ronan to raise their boys in the valley that he called home. Stew held many jobs in the area including at the Stove Shop, masonry work with his brothers and driving truck. He enjoyed the outdoors, hunting, camping and fishing with his family and friends. Stew is survived by his wife of 48 years, Faye; their sons, Robin (Heather) Schiele and Ron (Annette) Schiele; his grandchildren, Marcus, Tashea, Gavin, Gatlin and Anna; as well as his great-grandchildren, Tristan, Brantley, and Dacre; his sisters, Delores David and Sandra Noble; and his brothers, Raymond, Ronald and Larry. Stew was preceded in death by his parents, Martin and Elsie; his sisters, Eileen Frazer and Donna Toelke; and his brothers, Marvin, Norman, Harold and Dennis. A memorial service followed by military honors will be held on Saturday, April 6, 2019, at 1 p.m. at Mt. Calvary Lutheran Church, 1608 Second Street W, in Polson, with Rev. Kyle Whaley officiating and a celebration of Stew’s life will be held at the North Crow Club House in Ronan after the service.